Deftones have announced the inaugural edition of their own fest, dubbed Dia de los Deftones. 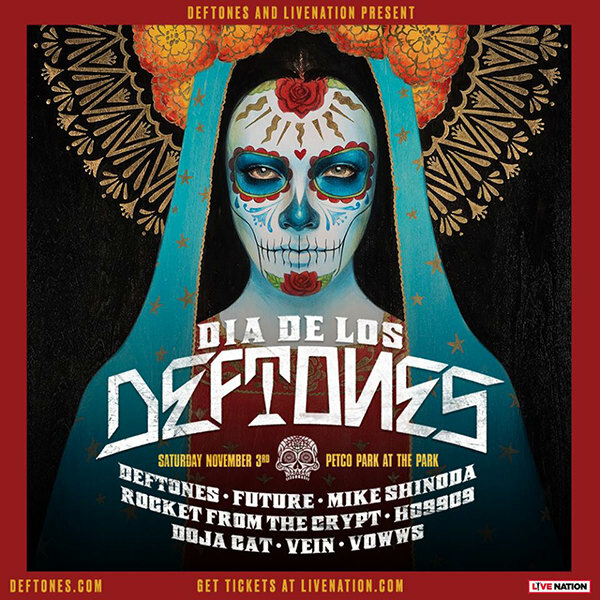 The event will take place on Saturday, November 3 at Petco Park at the Park and will feature Deftones, Future, Mike Shinoda, Rocket From The Crypt, Ho99o9, Doja Cat, Vein, and Vowws. You can view the flyer below.